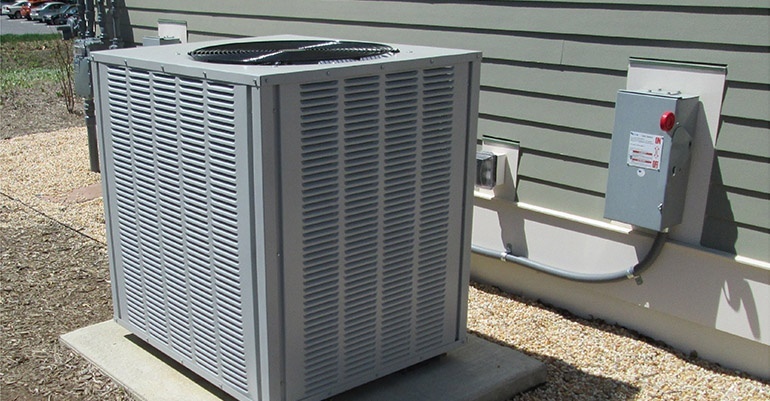 As a Midwest and Mid-Atlantic commercial HVAC company, we’ve seen our fair share of air conditioning issues, especially within motors. A common issue many operations are facing right now in their HVAC units is a phenomenon called electrical fluting. Whether or not you’ve heard of electrical fluting before, it’s a serious issue that can make the difference between properly running and failing motors. Here’s everything you need to know about electrical fluting and how to prevent it from affecting your equipment. What is Electrical Fluting and Why Does it Matter? Recently, motors have been built with Variable Frequency Drives (VFDs). VFDs utilize pulse width modulation (PWM) to produce different frequencies so that motors can run at different speeds for varying uses, ultimately saving energy. While this sounds great in theory and is an exceptional way to save energy, it can also pose a serious issue. PWM can cause troublesome motor shaft currents, a side effect that causes electrical fluting within the motor. When these currents accumulate on a motor shaft, the voltage tries to find the easiest path to the ground, which turns out to be through the motor bearings. When currents pass through the motor bearings instead of a grounded source, the bearings are pitted and eventually develop a grooved pattern, called fluting. The effect of electrical fluting on your motors can range anywhere from electrical damage to full motor failure, resulting in significant downtime and replacement costs. Usually the first sign of damage is an audible noise from the bearings as balls travel over the accumulated pits at a high speed. However, by the time most people notice this noise, the damage is already done, with motor failure fast-approaching. That’s why prevention is the best option for handling electrical fluting. Before installing a VFD into an existing motor, ensure your technician verifies that the motor is rated and operated at the necessary speeds for a VFD. If not, the motor can easily overheat; if the motor is operating at speeds lower than it was designed for, heat is created. Standard airflow would normally push the air away from the motor, but if it’s running at a low speed, it will only accumulate. There are a few parts you can buy for your bearings and motor that will protect it from dangerous currents and ultimately, electrical fluting. First, consider buying bearings made of steel or ceramic, so that electricity cannot pass through them and into the motor source. Or, a bearing protection ring can be attached to the motor housing, providing a low path from the shaft to the ground, thereby protecting the motor’s bearings. This allows the current to easily bypass areas that can’t handle the voltage and easily find its way to the ground. If you’re experiencing electrical fluting or any other service issues with your commercial heating and air equipment, don’t hesitate to reach out for assistance from our dedicated team of engineers and technicians.